1. Lie on your back with your arms by your sides, knees bent and feet flat on the floor. 2. 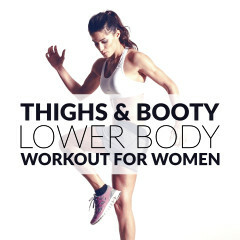 Raise one leg and lift your hips as high as you can. 3. 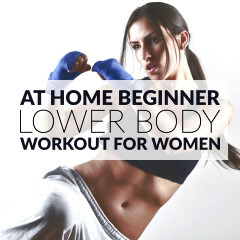 Lower your hips, repeat and then switch legs. When doing the single leg bridge, keep your glutes and abs tight, the toes pointed and, as you lift the hips, breathe out and press down through the heel of the foot. Maintain your upper body relaxed and in a neutral position. The single leg bridge is a great toning exercise for your abs and thighs and it also helps to lift and sculpt the buttocks. This exercise strengthens the core as well as the muscles of your back and helps to stabilize your spine. If you goal is to tone your muscles, start with 1 or 2 sets of 8 to 12 repetitions and, as you gain some strength, increase the number of reps until you’re able to complete 3 sets of 12 to 15 repetitions. If your goal is to gain muscle mass, use weights and try to complete 3 sets of 8 repetitions.